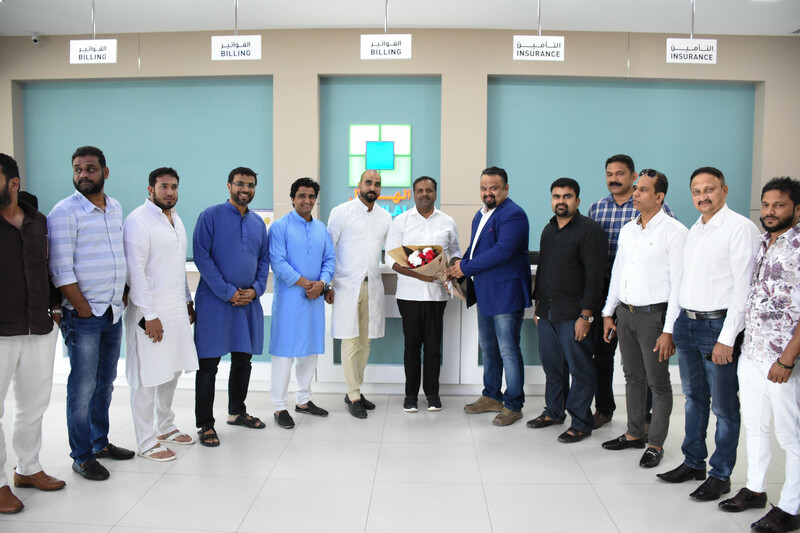 Al Hilal Health care Group receives Honorable Minister, Mr. U.T Khader ( Urban development and Housing ) of Karnataka and other dignitaries and officials from Karnataka who visited the hospital in Adliya , Kingdom of Bahrain on Friday, 06th Oct 2018. Dr. Sharath Chandran , CEO of Al Hilal Health Care Group and Mr. Asif Mohammed Regional Manager – Business , welcomed and escorted him along with dignitaries. They took a detailed tour of the facilities and departments of the hospital. Mr. U.T Khader interacted with the doctors while visiting the OPD clinics and exchanged greetings with patients and inquired about their health. The honorable Minister was accompanied by the community leaders and members of the Indian Community in Bahrain. Minister expressed his happiness about the facilities and services of Al Hilal Hospital and congratulated the Board of Directors and Management for their excellent service to the community.